The coastline of England is something that we're really keen on in the UK - and you could write a book about it. If you are here on holiday maybe an overview is more useful. 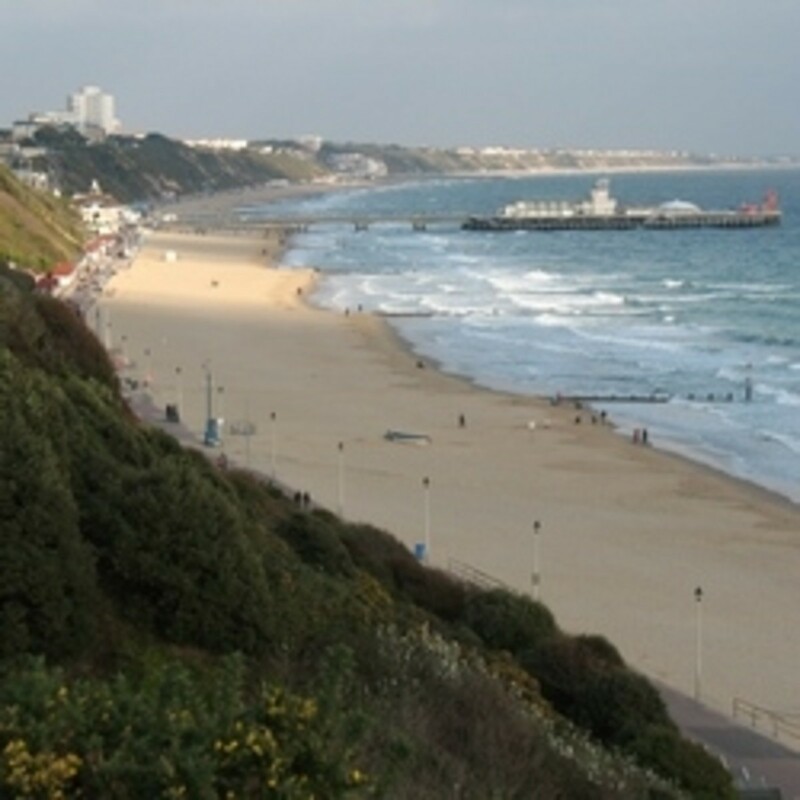 The best coastline - based on great views and clean water - is generally in the South West. The North Sea coast has some charm, but it's fairly bleak too for the most part. 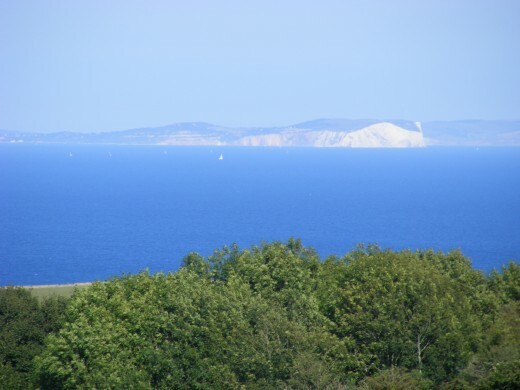 This hub is looking at Dorset, where most of the most spectacular scenery is to be found. 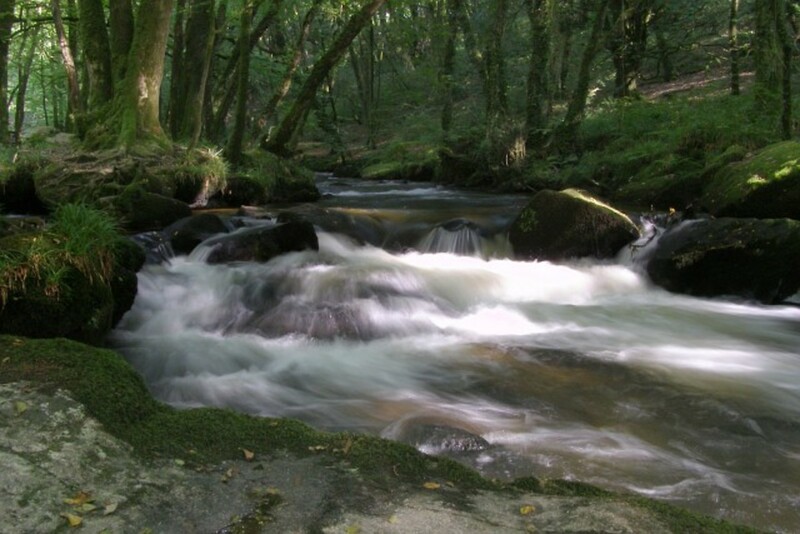 Parts of Cornwall and Devon are also very beautiful, but they can get very crowded in the summertime. As Dorset is a long way from the motorways, it has escaped some of the development and overcrowding. 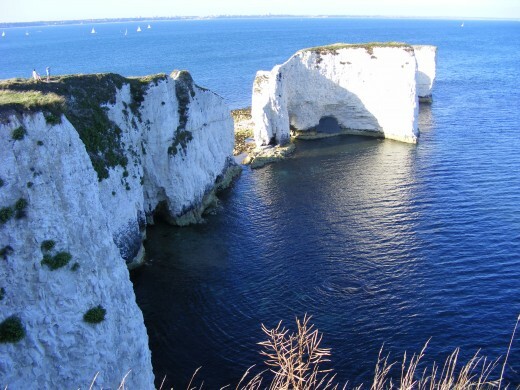 My tip would be to explore the coastline west of Poole - places like Studland, Swanage, Lulworth, Kimmeridge. See pics below. 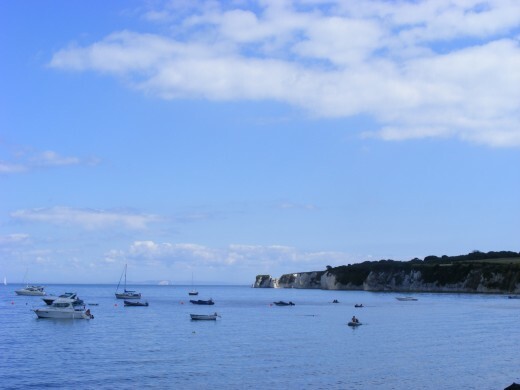 These pictures are from the Studland to Swanage stretch of the Dorset coastline. Every year, charity walkers walk the SW Coast Path here to raise money for Wateraid, a charity that finances and implements access to water and sanitation in some of the poorest areas of the world. As you can see, the scenery is great. 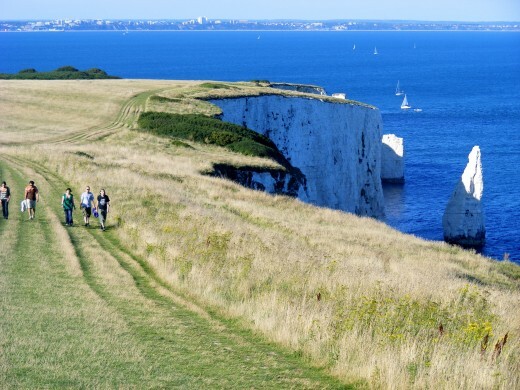 I've put in a link to the Wateraid site below - you can assemble a team of walkers and the ambition is to cover the whole of the coast path throughout the South West region with different teams. 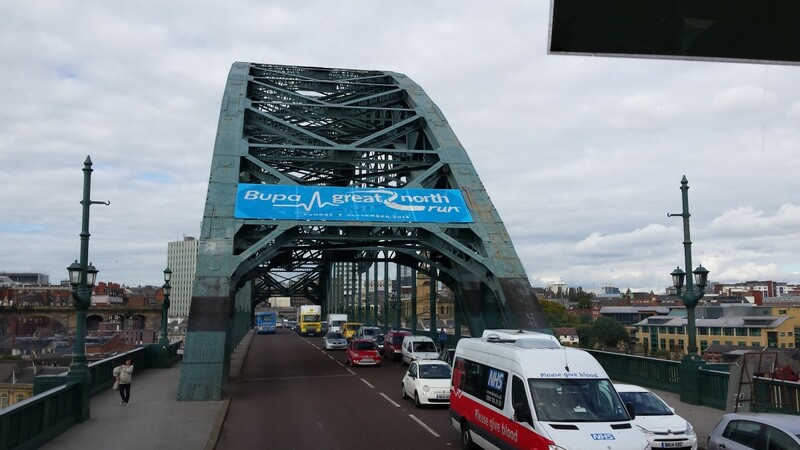 It's a very worthwhile charity to support, and you could stay in some of the holiday accomodation in the area, with a wide choice of B+B and hotels. 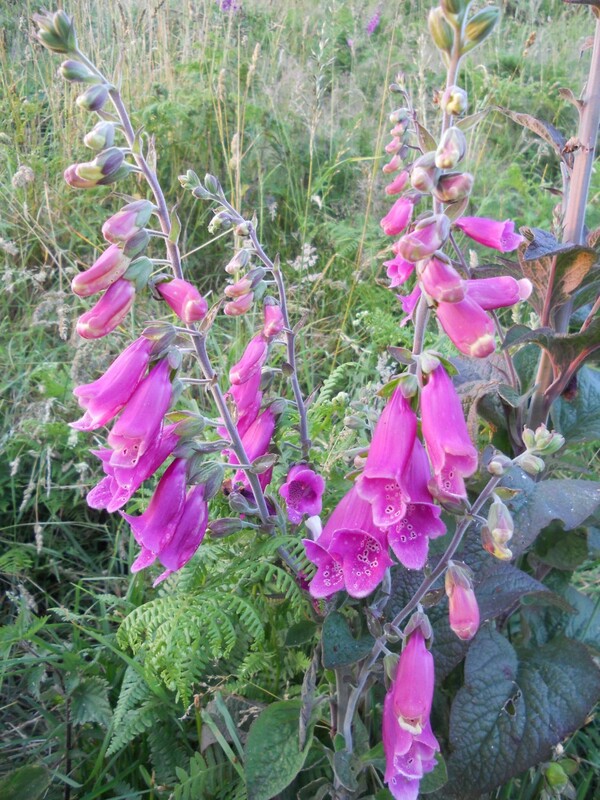 Corfe Castle and Swanage both have many good B+B options. 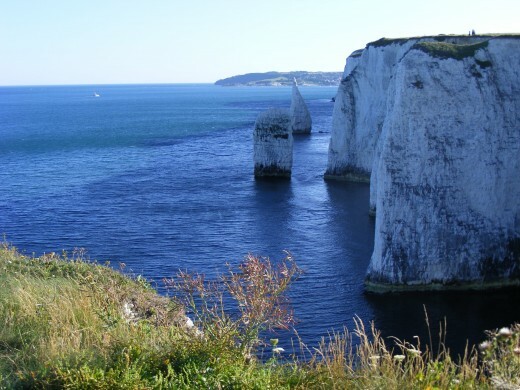 Although virtually all of the Dorset coast is pretty special, highlights would also include Lulworth Cove, Kimmeridge, Chesil Beach and Seatown. From Lulworth Cove you can walk across the hill to Durdle Door, a natural rock arch in the sea, and this is really spectacular scenery. 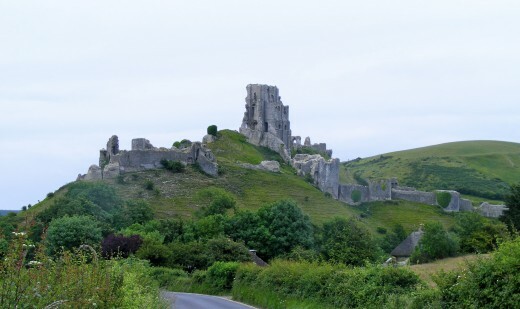 Corfe Castle is a little way inland, with a ruined castle and an extensive history. 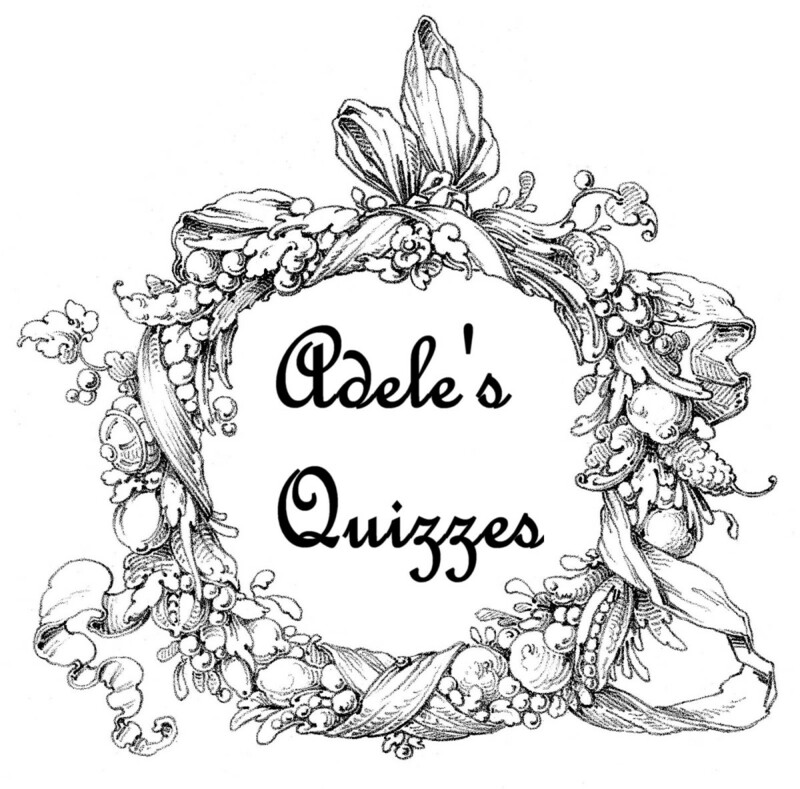 One of the best pubs in the South West is The Square and Compass, at Worth Matravers, close to Corfe castle. It is well known for its beer garden, live music, and distant sea views. A great atmosphere and perfect for drinking outside in summer. Lulworth Cove is a unique cove, a natural harbour enclosed by cliffs. From here you can walk the Army firing ranges, when things are quiet anyway! There is a cafe on the beach (The Beach Cafe!) and it's a really nice place to explore. A steep path leads off to your right from the main car park area, and this is the coast path that leads to Durdle Door, a natural rock arch in the sea, and many other remote beaches. There is also a campsite near Durdle Door. Kimmeridge is a rocky bay, ideal for canoes, and shallow waters mean it's safe for kids.It's on a privately owned estate, entrance is about £4. Pebble beach, many rock formations and shelves going out into the sea, some fossils are found now and then. Not much in the way of facilities, though there are some toilets in the car park area. Generally a wild and unspoiled place. The village nearby has a good cafe for cream teas etc. Seatown is a tiny place, with a really long fossil - bearing beach and a pub called The Anchor. Probably one of the best beaches in the UK, ideal for walkers. You can see the Isle of Wight from here. Further west along the coast is Lyme Regis, and Lyme Bay. This is another great little town and seaside resort, with a fossil shop or two - as this section of the coast is famous for its fossil finds, going back to Victorian times. The shops have some amazing exhibits and are well worth a visit. Lyme is a nice place to find a B+B for the night - it was used as the location for The French Lieutenant's Woman film, with a stormy view of the Cobb, the harbour defence of great antiquity. Nearby Charmouth also has its charms, with a nice beach. Just along the coast is Seatown. It's a beautiful and unspoilt beach with the possibility of fossil finds and a pub called The Anchor, perfect for walks. Don't tell anyone. Dorset coast - don't even think about it until April 2011! 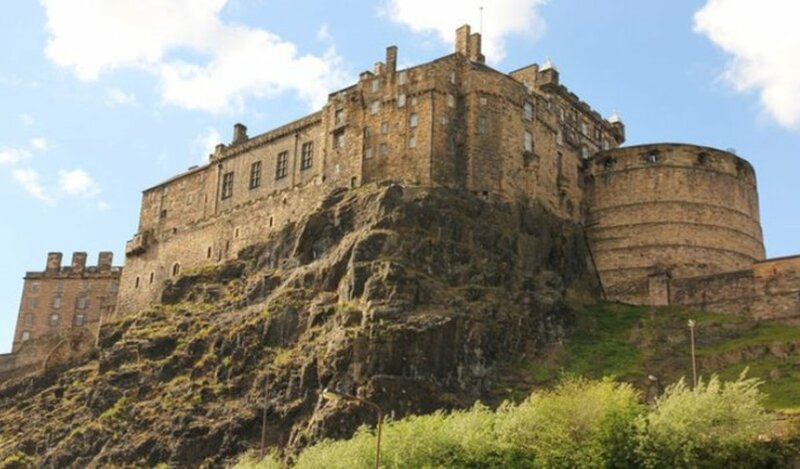 Thanks elayne - I also love Scotland, especially The Highlands. Incredible views. I would love to visit there. I was in Scotland last summer but didn't make it to Dorset. Hopefully next time comes sooner than later. Aloha!